One lid is steaming for veggies! 1) In a medium sized bowl mix together all the BBQ sauce ingredients. 2) Cut the ends off your onions. Peel and separate the layers. You will need 8 large layers of onions. 3) Next combine all the meatball ingredients in a separate bowl. 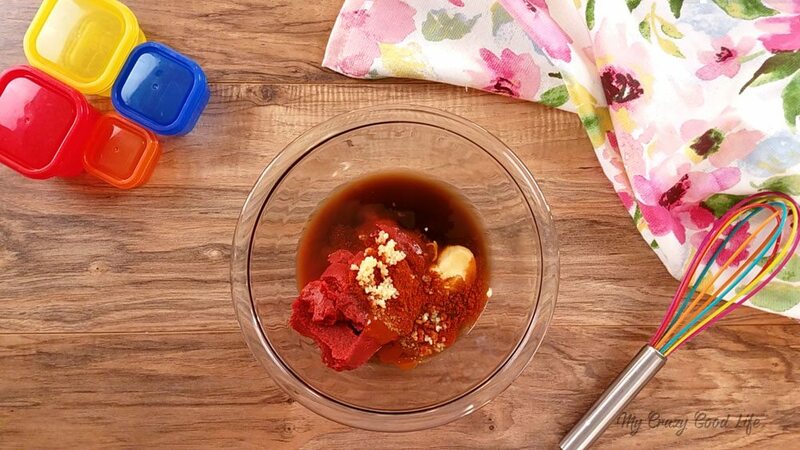 Using a red container (or a 3/4 cup measuring cup) measure and form your meatballs. 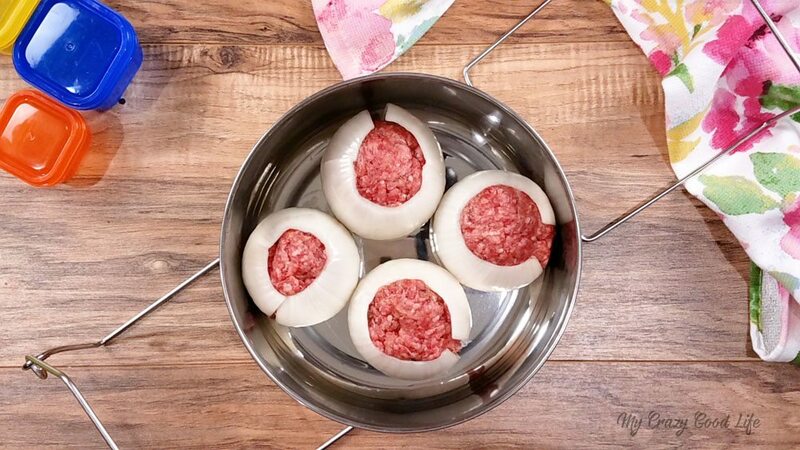 Wrap each meatball in a layer of onion. 4) Arrange the meatballs in a stackable steaming rack, four meatballs on each layer. 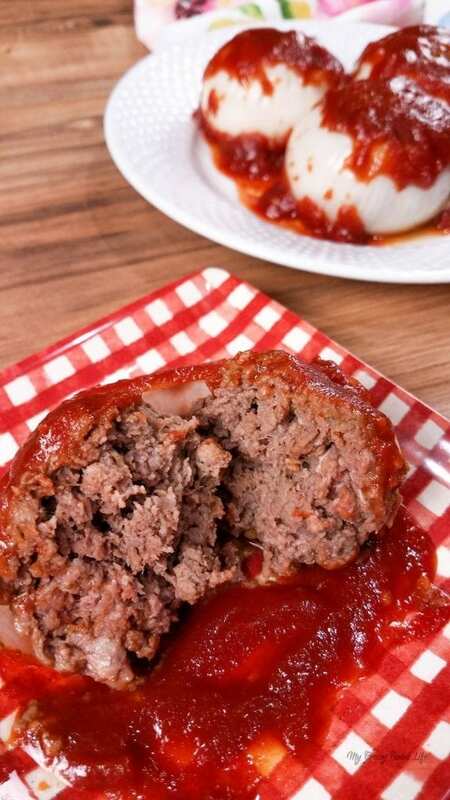 Smother each meatball with sauce then close the steaming container. 5) Add 2 cups water to the bottom of the Instant Pot insert and the trivet. 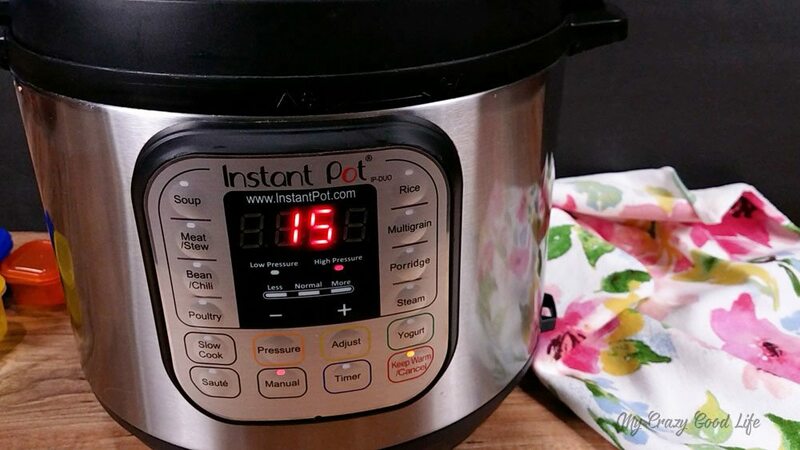 Place the steaming rack onto of the trivet then close the Instant Pot lid, turning the pressure valve to sealing. 6) Using the manual setting cook the meatballs on high pressure for 15-18 minutes (I did 15). Let the pressure release naturally (about 8 minutes). Remove the steaming rack from the Instant Pot and serve the meatballs topped with any extra sauce you have. 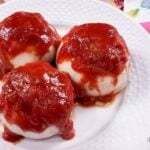 4) Arrange the meatballs in your slow cooker, smother each meatball with sauce, and then cover. Cook on high for 3-5 hours and low for 6-8 hours. 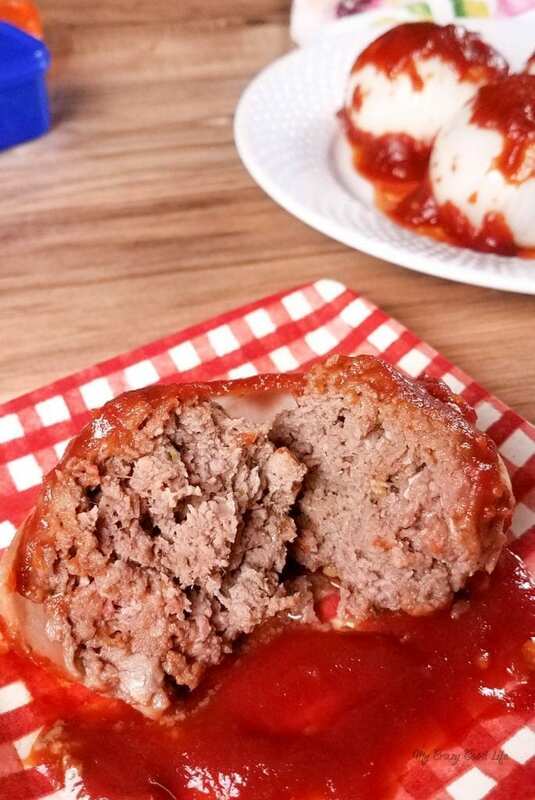 4) Arrange the meatballs on a baking dish, smother each meatball with sauce, and then cover with foil. Cook for 40 minutes at 425 degrees. These are also perfect for the campfire! Wrap them in foil and cook over an open flame. 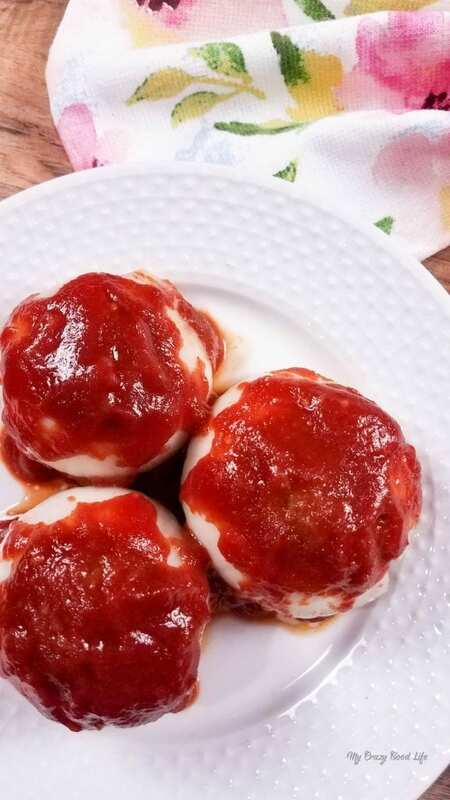 These Mini BBQ Meatloaf Onion Bombs are a delicious and easy healthy dinner that everyone in your family will love! Just try telling them all that it's a 21 Day Fix family friendly dinner ;) For those of you who don't want to make one big meatloaf, I love making these Instant Pot mini meatloaves! 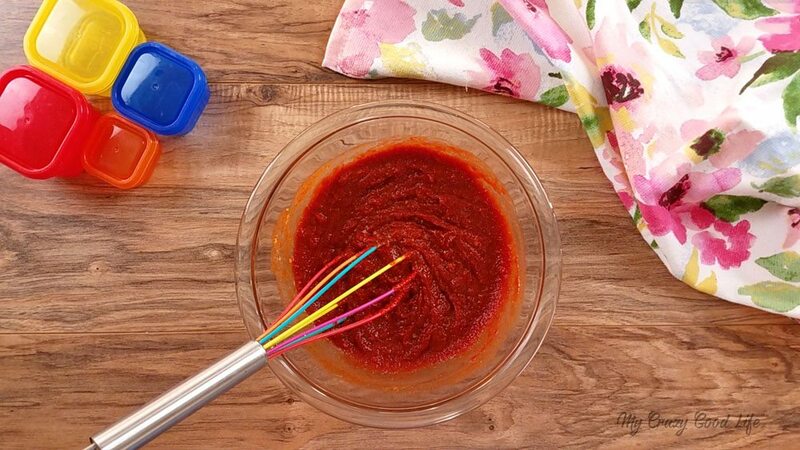 In a medium sized bowl mix together all the BBQ sauce ingredients. 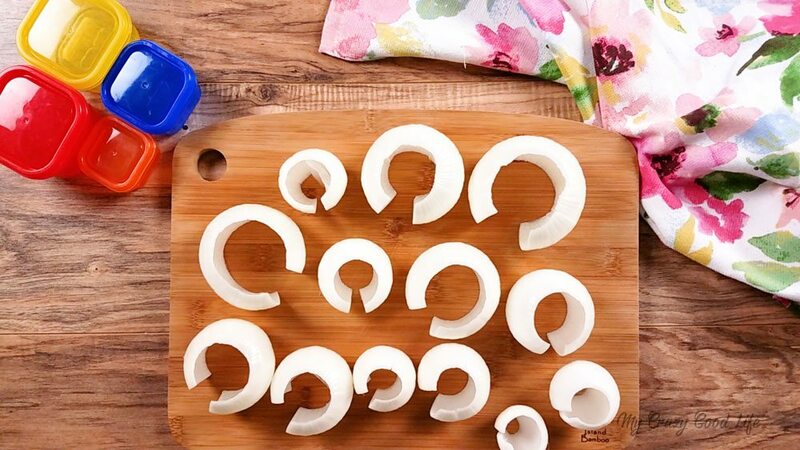 Cut the ends off your onions. Peel and separate the layers. You will need 8 large layers of onions. Next combine all the meatball ingredients in a separate bowl. 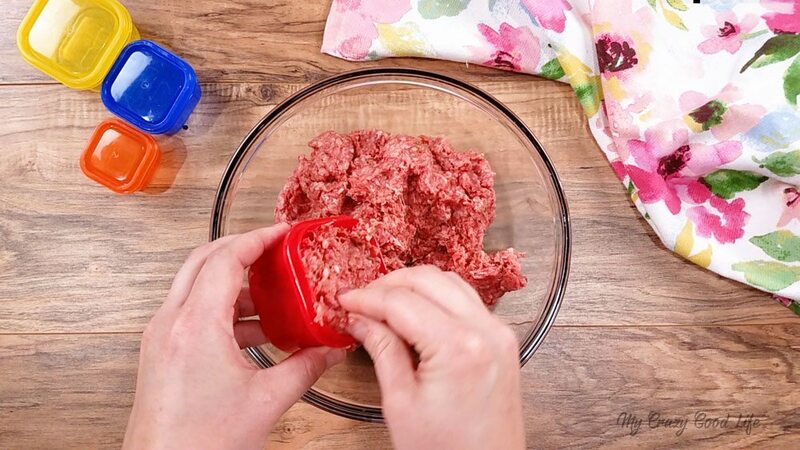 Using a red container (or a 3/4 cup measuring cup) measure and form your meatballs. Wrap each meatball in a layer of onion. Arrange the meatballs in a stackable steaming rack, four meatballs on each layer. 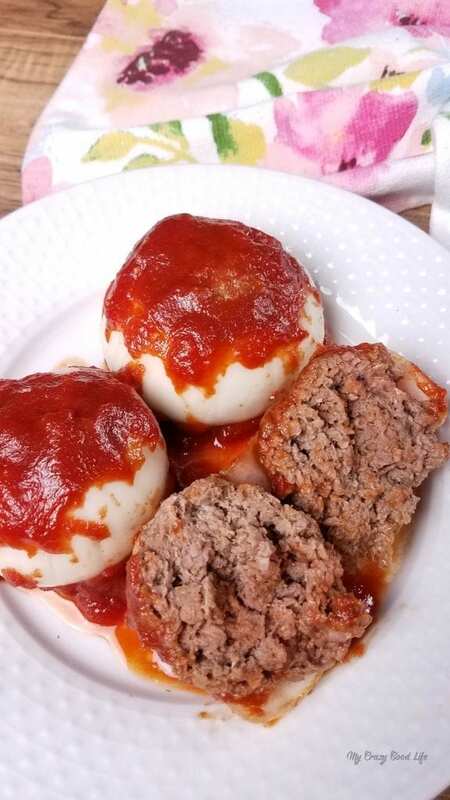 Smother each meatball with sauce then close the steaming container. Add 2 cups water to the bottom of the Instant Pot insert and the trivet. 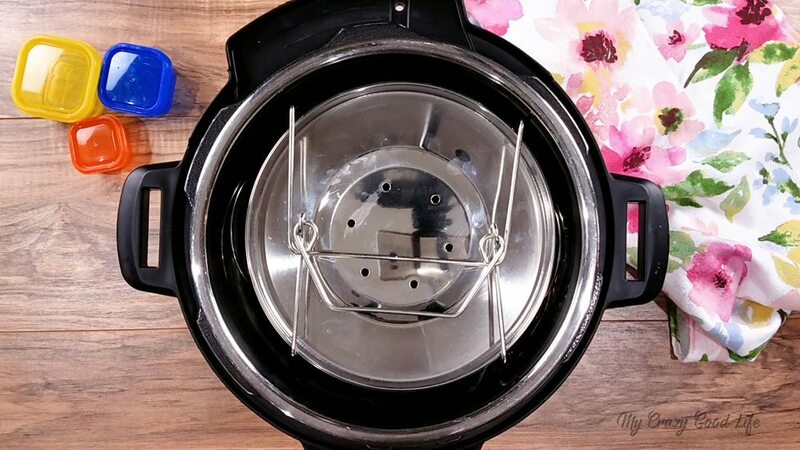 Place the steaming rack onto of the trivet then close the Instant Pot lid, turning the pressure valve to sealing. Using the manual setting cook the meatballs on high pressure for 15-18 minutes (I did 15). Let the pressure release naturally (about 8 minutes). Remove the steaming rack from the Instant Pot and serve the meatballs topped with any extra sauce you have. Arrange the meatballs in your slow cooker, smother each meatball with sauce, and then cover. Cook on high for 3-5 hours and low for 6-8 hours. 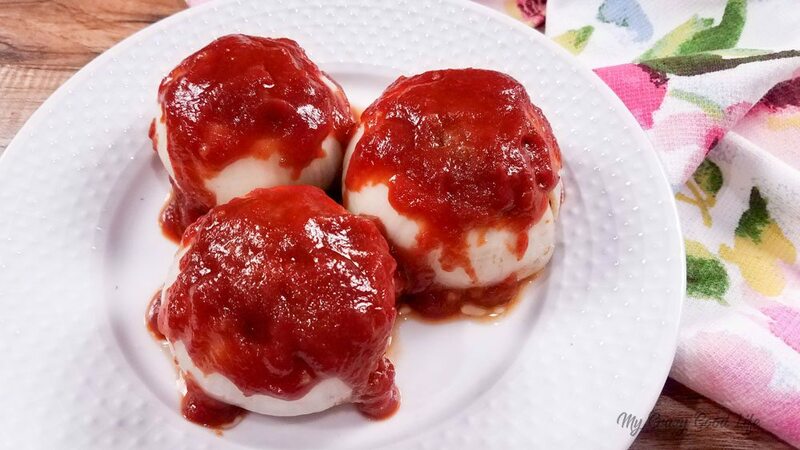 Arrange the meatballs on a baking dish, smother each meatball with sauce, and then cover with foil. Cook for 40 minutes at 425 degrees. Hi Becca, I’m going to try this with a few more veggies and some oatmeal to make it a pre or post workout meal for 80 day fix. Thank you for the idea. I am new to instant pot and nevertheless would have thought of meatloaf in there!